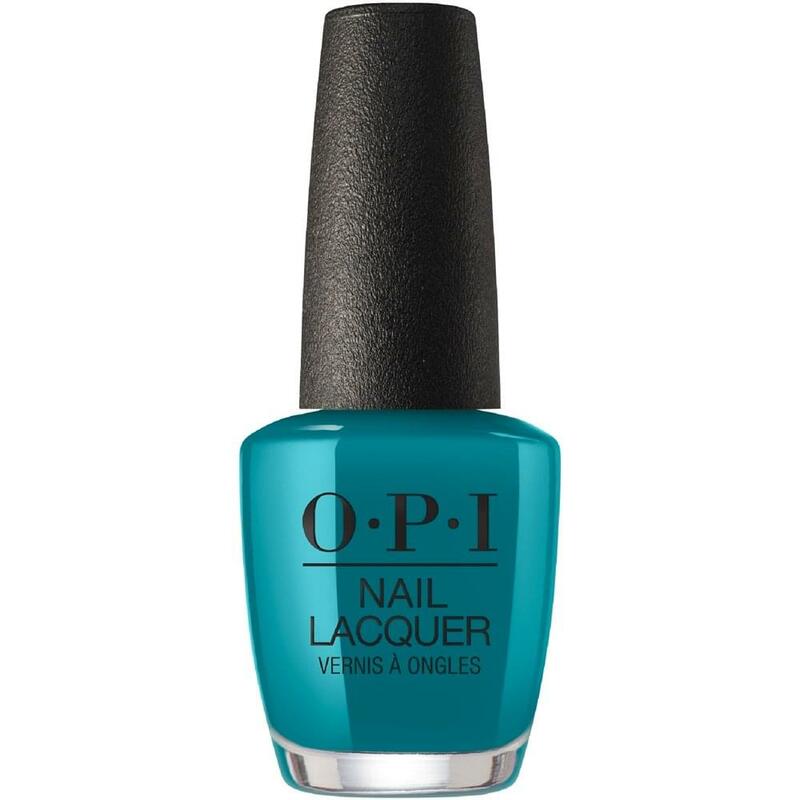 OPI Teal Me More, Teal Me More Nail Polish (15ml) is a divine, real-teal blue hue. In celebration of Grease&apos;s 40th anniversary, OPI & Grease have partnered to curate a gorgeous selection of limited edition shades. Not only exquisite in colour, OPI delivers rich pigmentation promising to cover nails in just a couple of coats. Chip-resistant and long-lasting, OPI delivers time and time again with their great selection of nail polishes. OPI nail lacquer contains no DBP, Toluene or Formaldehyde and features OPI’s exclusive ProWide™ Brush for ultimate application. Apply chosen OPI Base Coat. Follow up with 2 coats of chosen OPI nail lacquer. To apply this colour, begin at the centre of your nail, roughly a couple of mm from your cuticle. Let the bristles fan out for maximum coverage and with each brush stroke, brush out to the free edge. Finish with preferred OPI Top Coat to help prevent chipping. This was an opulent colour which compliments lots of the clothes I wear. Rich and deep in colour but with all the ease of application which is part of the opi range. I loved it!